Amazing condo and great experience!!! We thoroughly enjoyed our time at Bob’s condo in Kihei. When we arrived everything was spotless and cleanly. Don’t worry about bringing towels or beach chairs, as all of this is provided. In addition there is a fully stocked kitchen with any kitchen gadget, plates, pans, coffee maker, etc. Bob (the owner) made the VRBO process smooth and easy. We have nothing but great things to say and hope to stay here on our next visit. Great location and excellent accommodations. Thanks for the experience! Aloha! everything you need! Clean and quiet! A very nice unit, very clean, with a lot of very high quality, beautiful TILE! Everything you need in a great area close to several restaurants and shops, with nice beach just across the street. The area is quiet enough and secure. 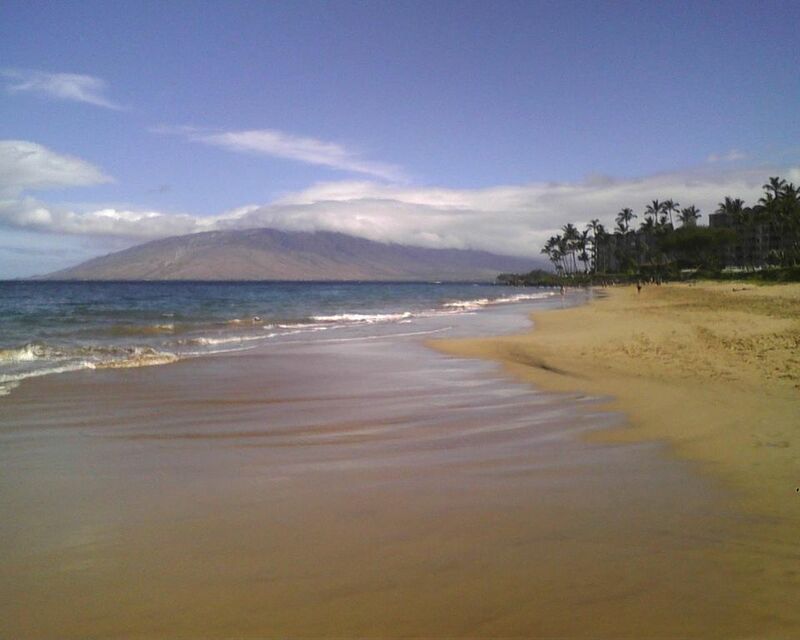 Close to Wailea and all of Kihei. Good towels, soap, detergent, VeRY large TV, great ceiling fans, lovely furniture and Kitchen cabinets. Big shady trees keep the afternoon sun from baking the lanai. BBQS just below lanai. We never used the pool, but it looked just fine. Kitchen has good equipment and good appliances except no dishwasher which you do not need anyway. Pots and pans are good. High quality in every way. Better than most places. Nice tile in bath room.... large shower. You can see the ocean from the Lanai, which has a nice table and chairs. Good Beach chairs and towels provided. Nice breeze always blowing! I feel we were lucky to find this place! I would definitely return! Love our stay at this condo. I could not believe how amazing the location was and how nice the condo was inside and out. I would stay again the next time I come out to Maui! The condo was updated, well stocked with towels, chairs, an umbrella, shopping bags and kitchen necessities. The owner was attentive and easy to work with. The condo is also ideally located for beach access, restaurants, walking and shopping. We would absolutely stay there again. Condo was spotless. Very well furnished and decorated. Had a very good view (albeit partially) of the ocean. Very quiet yet close (within walking distance) to restaurants and stores. Grounds are meticulously maintained. Bob was always available to answer any questions or concerns we had. Definitely our first pick for a return to Maui.